These 2 blocks are the basis for the quilt I’ve been stitching on the last couple of days. 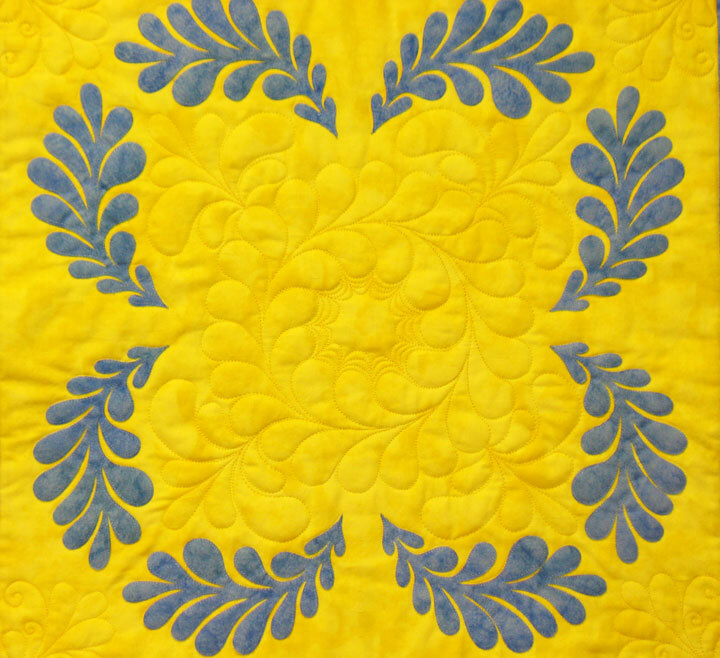 I’m not sure why, but there is something so sweet about blue and yellow quilts! That combo just hits a home run every time! 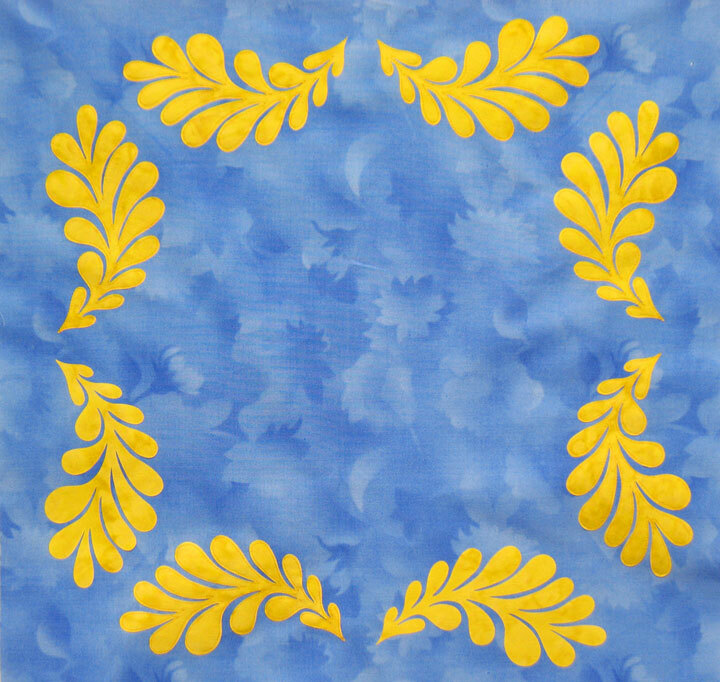 For me, the drama or interesting part of this quilt is all about how those appliqued feathers interact with one another. 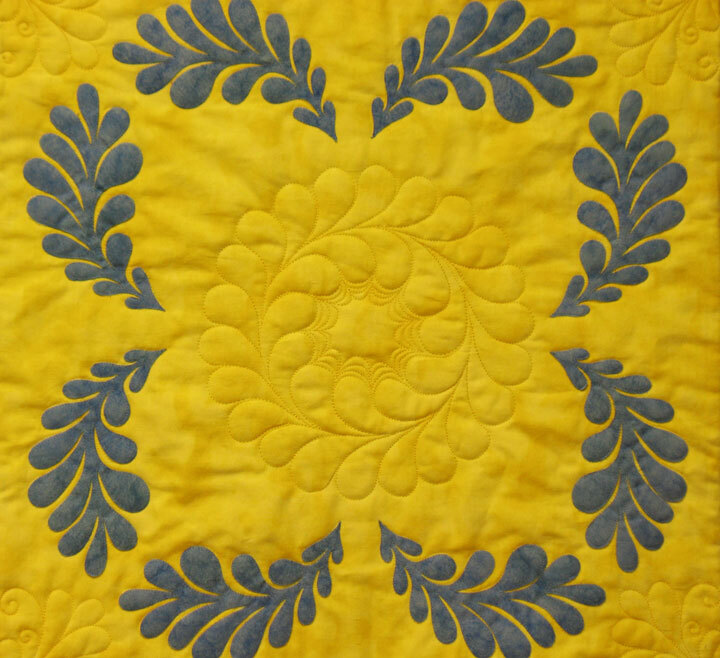 Because of that, my whole goal with the quilting was to echo the feather motifs and to do it in a very understated way. 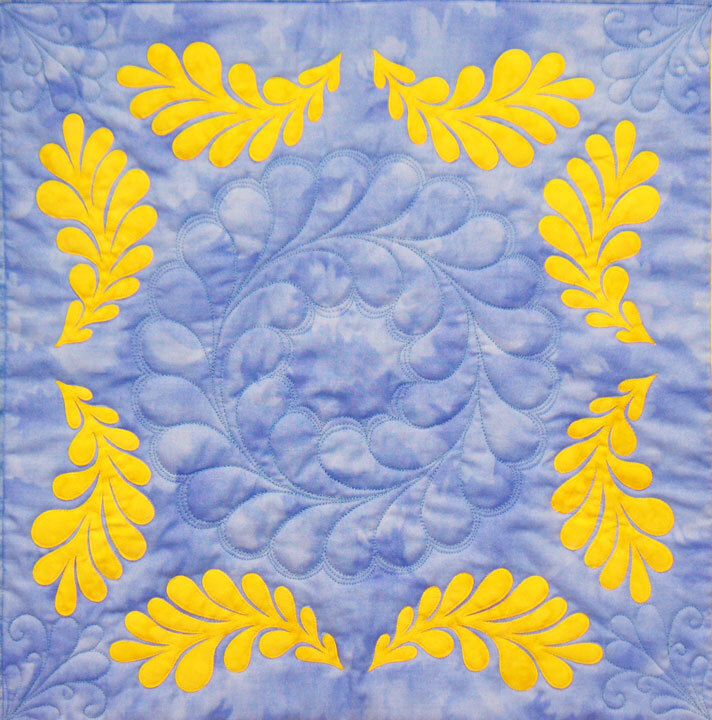 I guess I didn’t really want the quilting to be consciously noticed, and that is not usually my goal. Once I’ve got the binding on, I’ll show some final pictures, but this was a fun one to quilt! Filed under Appli-K-Kutz Fabric Cutting Dies, Free Motion Quilting. (oops – Try again!) I am still struck dumb with fear, wondering what to do with all the blank space AROUND the feathers or vines. 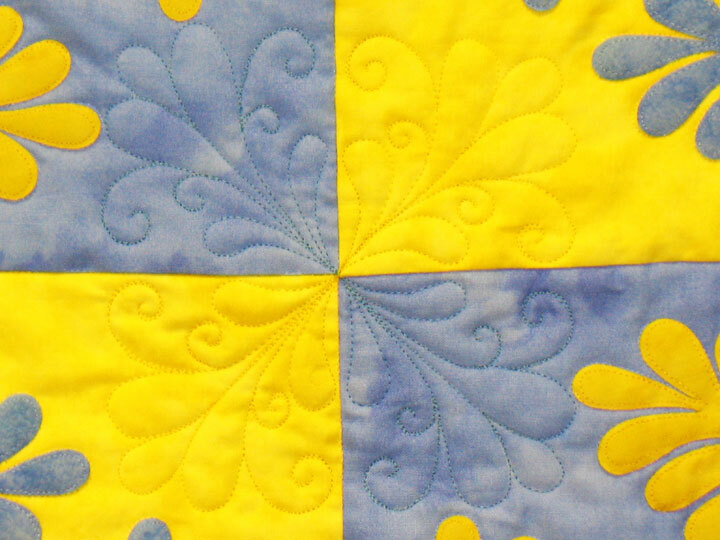 Seems if I did some lovely McTavishing, that tight quilting would be really uneven quilting compared with the usual allover quilting I tend to do in the center of the quilt. 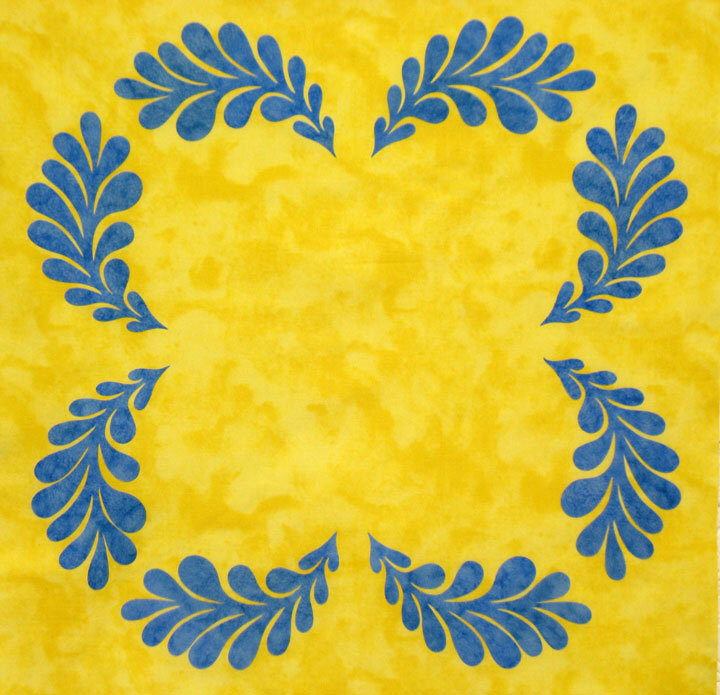 I’m having troule figuring out how one area needs to be quilted heavily (background around feathers/vines) vs. allover quilting (love the loosey-goosey options) I use in the center. 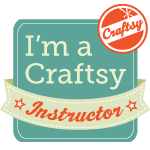 I will love to see the finished quilt…. 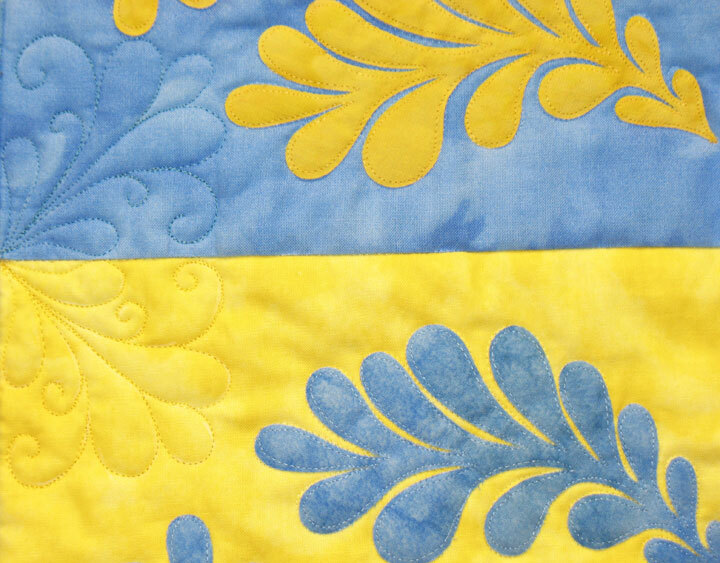 I love the “flowiness” of your designs and quilting…the fabric colors are always great too! Love the effect u have will wool/rayon felt dyed pieces on the black. Have been painting Warm and Natural with varied Lumiere and will experiment with them on a dark bckgrd. to see if I can attain the same effect u have. Have u ever tried that ? I find it much easier for me than dyeing. Wonder if the Sizzx would accurately cut batting?